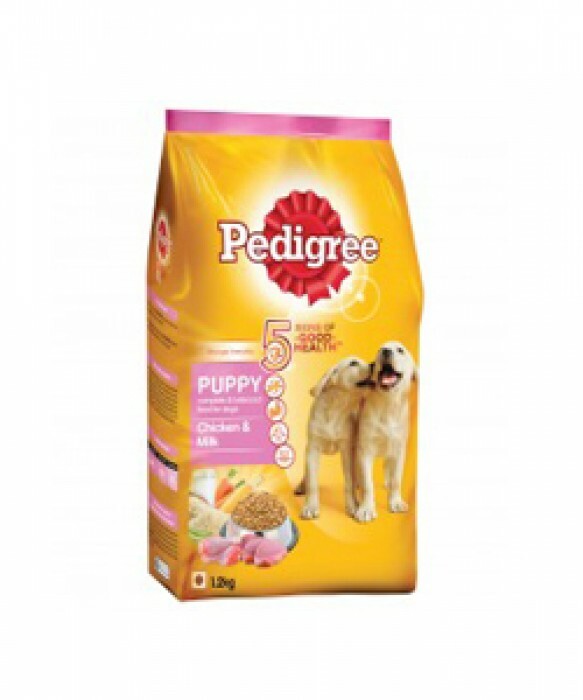 he Pedigree Puppy Chicken & Milk 1.2 Kg is specifically designed for this purpose. 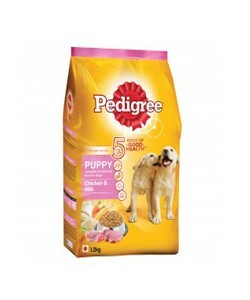 It is a complete dog feed for puppies up to 12 months old, and is a yummy treat with the goodness of milk and chicken. It contains highly digestible proteins and energy-dense ingredients for optimum growth. Calcium and Phosphorus levels are carefully balanced for skeletal development, and it also has adequate Vitamin E to support healthy immune function. Pedigree bases the production of its specialised pet food on scientific research. Their in-depth research enables the company to manufacture products geared towards an animals needs in respect of its breed, health and dietary requirements, along with age and exercise levels. Pepperfry offers you a wide selection of pet foods and accessories with free door-step delivery, adding comfort and convenience to your life.